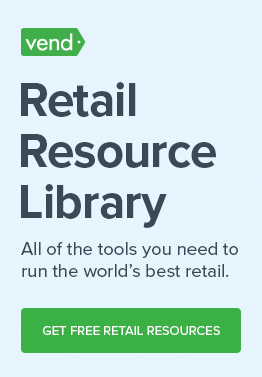 Finding and recruiting top talent should be a priority for all retailers. Having outstanding people in your team can help you sell more products, be more efficient, and most important, serve customers better. The question is, how do you find these top performers? 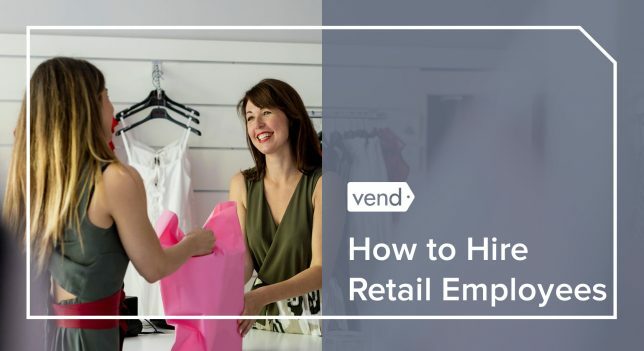 To answer that, we’ve looked into the hiring practices of other companies and got in touch with retail experts who’ve shared solid advice on finding, attracting, and hiring great people for your store. We’ve given this advice before, but it’s worth repeating because it truly is one of the most important pieces of hiring advice that you can get. Nearly all of the experts who weighed in for this article emphasized the importance of looking for people with the right attitudes. “Take a tip from James Timpson: don’t look at CVs or resumes; hire on the basis of attitude, enthusiasm, and energy. Skills can be taught, attitude can’t,” says Andrew Busby, Founder & CEO at Retail Reflections. Cyrenna Dewhurst, a store manager candidate at Dollar General, echoes this advice and says that she once hired a candidate who, despite not having retail experience, had a great attitude. “I hired a woman once that had zero retail experience. She had been in the cleaning business. I just loved her attitude, she was just amazing and even had the best reasons why she would be better at this job than anyone else. She tailored her resume towards why her cleaning business would make her who I would hire,” she shared. It’s a tall order, but many of these traits go hand-in-hand, so finding people who exhibit a handful of these attitudes may not be as difficult as you think. Now that we’ve identified the traits that you should look for when hiring, let’s discuss how you can surface these qualities in your candidates. People tend to put their best foot forward during formal interviews, so it can be tricky to determine whether or not someone truly possess the right attitudes. “One lesson for stores is don’t confine your interviews to the office,” says retail executive Don Uselmann. He recommends that merchants bring the candidates to the sales floor and watch how they interact with department managers and employees. Bill O’Malley, Managing Partner of Connector Team Recruiting, echoes this advice. “You can tell a lot about people as they walk a retail building with you. How do they relate as they walk the floor? How do they engage with people? Do they smile? Are they polite? There’s a reason why companies like Jet Blue and Disney are able to consistently hire top-notch employees: these companies know how to find individuals who are naturally great with people. One of the ways to do this is by conducting group interviews. 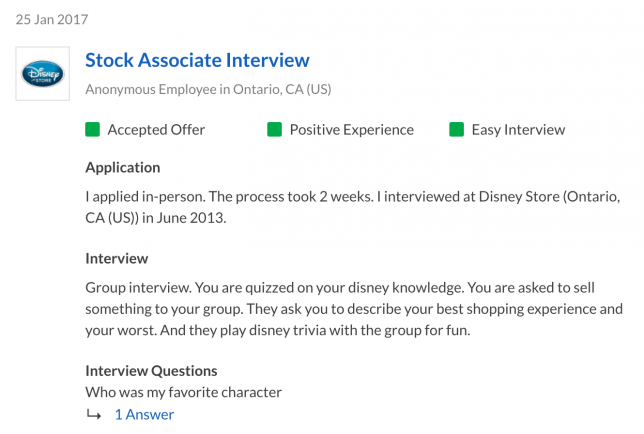 Job applicants at the Disney Store have shared experiences with group interviews in which they were quizzed on their Disney knowledge and were asked to sell something to the rest of the team. Conducting group interviews makes sense, particularly in customer-facing retail roles. You can gain insights into someone’s people skills by observing how they act around other people, and that can give you a better understanding of how they’ll fit with your team. Brian Drescher, a former retail operations and category manager in the retail grocery and specialty industries, says that he has his team engage with interviewees as if they were customers. Don’t let your interviews be too scripted. Guide questions are okay, but don’t be afraid to have a real conversation and let the other party do most of the talking. “Look for candidates who display a passion for your brand,” advises Jacqueline Young-Sterling, the Director of Customer Experience at Compliant IA. 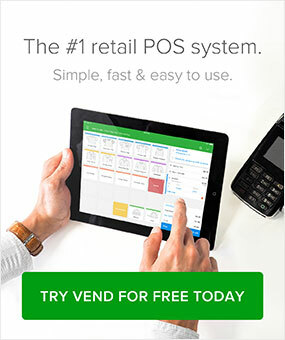 One example of a retailer is doing this the vape shop (and Vend customer) Good Guy Vapes. Top performers always do their research, so you want to make sure that they like what they see when they Google your company. See to it that your website and social accounts look presentable and contain adequate information about your business. If you haven’t done so yet, head to Glassdoor.com and complete your company profile. Add photos and provide as many details as you can. Also, read the reviews that your employees (both past and current) have about your business. If you see some unfavorable reviews, talk to your staff about them and see what you can do. It’s best to resolve any internal issues first before taking on new hires. The last thing you want is to bring in someone new when there are unresolved issues and politicking involved. The more at peace your company is on the inside, the more attractive it’ll look to applicants and the greater the chances that they’ll stay. Retailers of today are operating in a competitive space that requires forward-thinking as well as online and social savviness. 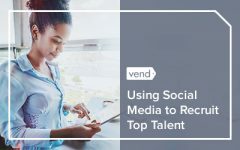 If you want to attract applicants who have those traits, you should take your recruitment efforts beyond traditional channels such as job boards. Social media is known to be an effective recruitment tool. LinkedIn for instance, has a number of talent solutions that enable you to find, vet, and contact candidates. Sites such as Facebook and Twitter, while not specifically made for recruiting, can also help you find new hires. Use Twitter to spread the word about your openings and put a special careers tab on your Facebook page where your fans can browse and apply for jobs. Even Instagram has proven to be a good platform, particularly for companies looking for young and fresh talent. As Software Advice cited in this piece on Instagram recruiting, a study by the Pew Research Center found that the largest group using Instagram is adults between 18-29 years of age with some college education. This makes it an ideal platform to attract youthful applicants. So, make it a point to spruce up your employer profile on social media. A good way to do this is to share fun team photos on platforms like Facebook and Instagram. And if you’re actively recruiting, spread the word by posting “We’re hiring” images on your accounts. Lastly, don’t forget about mobile. An increasing number of users are now using their mobile devices to access job boards and look for career information, so make sure your posts and listings are optimized for the small screen. 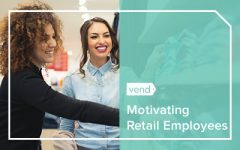 “One of the most effective ways retailers can attract and retain the best people is to develop a rubric for employee performance,” says Christine Guillot, Founder at Merchant Method. If you haven’t done so yet, develop rules of conduct or procedures or employees, document them, for easy reference when hiring and evaluating your team. Need some inspiration? 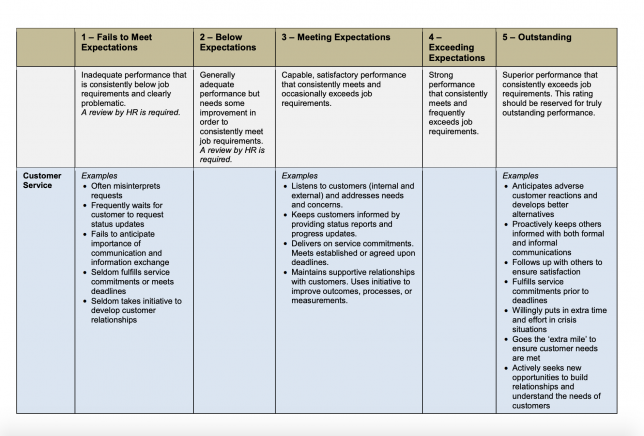 The University of Colorado Denver offers a good example of an evaluation rubric for customer service. Painting an accurate picture of your company and the position will enable both you and the applicant to determine if they’re a good fit for the job. So while it may be tempting to only gush about the good things about your store, but don’t oversell the job or misrepresent your company. Be forthcoming about the demands of the position and what your expectations are. Incentivize your staff to help you recruit more employees. “Your current employees know what it takes to do the job. They have a vested interest in bringing in people who will make the workload lighter, not heavier,” says sales consultant, author, and speaker Barry Maher. Still having trouble finding the best fit? Retail expert Georganne Bender recommends turning to your previous employees to see if they’re looking to come back. “One of the best sources for new employees is past good employees. Studies show that 20 – 25 percent of employees return because the grass isn’t always greener on the other side, so if you’ve had good performers leave, give them a call and ask if they have ever considered coming back. Even if they say no, they’ll feel good because you thought to call.” she says. 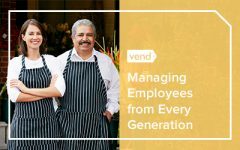 Finally, recognize that when it comes to hiring employees, getting it done right is better than getting it done fast. Don’t settle for a candidate who isn’t perfect for the job, just because you want to get the process over with. A best organization can be formed only with all best employees. So in this process HR managers always plays an important role of hiring best talent. Most of the time it is critical to find the best candidate for required job opening. recruiter should read this best piece of content. I think using best recruitment software can also be a best option. Hello this is super helpful. Any other professional channels besides the obvious ones that are catered towards fashion industry that u recommend? As for fashion-centric channels, I would say look into trade publications (like Apparel Magazine) and trade groups such as the American Apparel & Footwear Association. When it comes to improving your staff, there are companies that specialize in empowering fashion retail associates. RetailChoice works really well for all things Fashion and Retail.